These organs' main job is to filter waste from your blood and make pee. But they also help control your blood pressure and make sure you have enough red blood cells. Kidney cancer, also called renal carcinoma, happens when cells in one or both of them start to grow out of control and form a tumor that crowds out healthy cells. 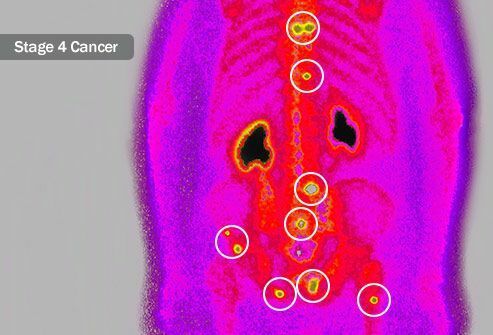 This kind of cancer is one of the 10 most common in both men and women. While there are many kinds of kidney cancer, 9 out of 10 people who have it have this type. 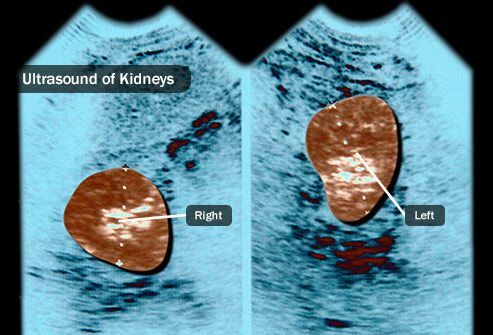 It’s usually one tumor inside one kidney, but there can be more than one, and they can happen in both kidneys. Most people diagnosed with kidney cancer are between 50 and 70 years old. 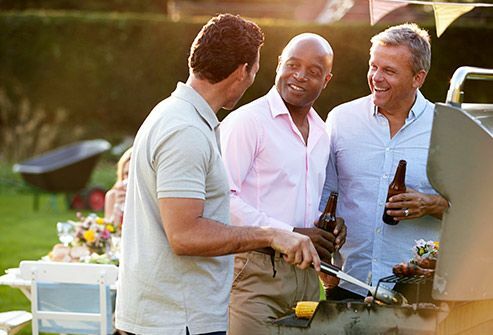 Men are 2 to 3 times more likely to get it than women, and African-American people have a higher chance of getting it than other groups. High blood pressure, kidney disease, and certain problems with your genes, like von Hippel-Lindau disease, also can raise your chances. It can run in families, too. 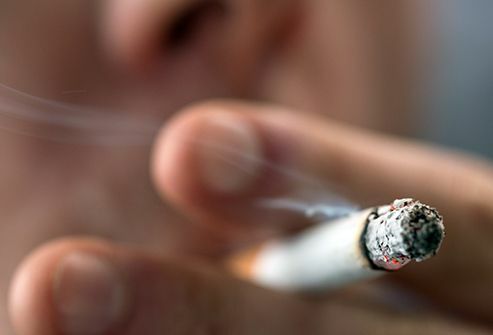 You smoke: This doubles your risk. 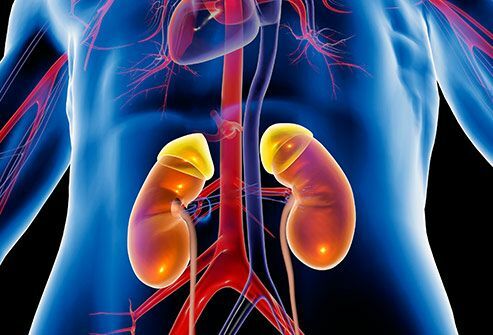 It’s believed to cause 30% of kidney cancers in men and 25% in women. Your doctor will give you an exam. 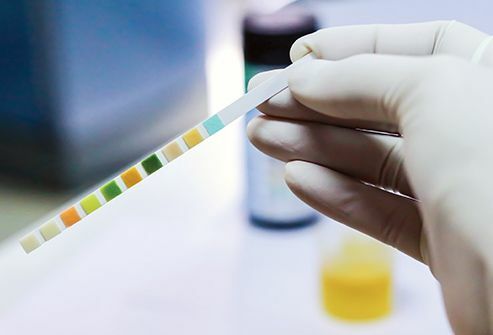 If he thinks you might have kidney cancer, he’ll probably start with urinalysis, which tests your pee for blood or cancer cells. He also might do a blood test to see how well your kidneys are working and a complete blood count to make sure you have a healthy number of white blood cells, red blood cells, and platelets. People with kidney cancer often have anemia -- when you don’t have enough red blood cells. 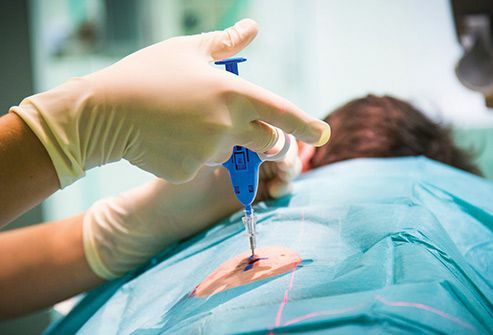 With kidney cancers, biopsies are rarely needed and are done only in very rare situations. 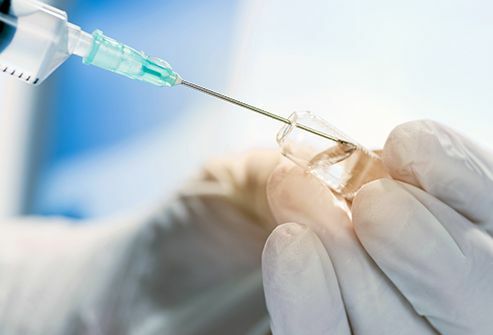 If your doctor decides one is needed, she will recommend surgery to take a tiny sample from the tumor with a needle so it can be tested. In a case like that, the biopsy is used to tell for sure whether what you have is cancer. If it turns out you do have cancer, your doctor will want to try to predict how fast it may grow. He’ll do this based on how much the cancer cells look like healthy ones. Kidney cancer can be grade 1, 2, or 3 -- grade 3 cells look very different from normal ones and tend to grow fastest. 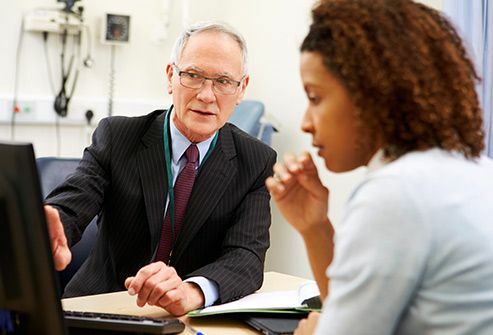 Your doctor will make recommendations based on the type of kidney cancer you have, the grade and stage of the cancer, your age, and any other health problems you might have. 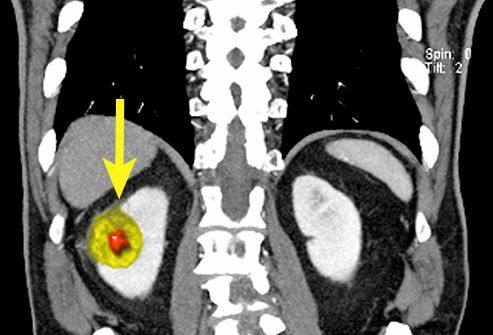 Your doctor may suggest this approach if your tumor is small. He’ll want to do tests often to see if it starts to grow quickly or gets bigger than an inch and a half. 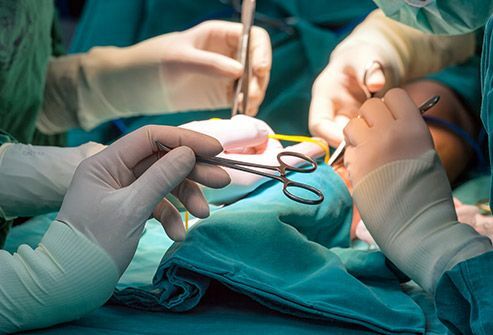 If you’re not able to have surgery to take out the tumor, your doctor may try to destroy it instead. 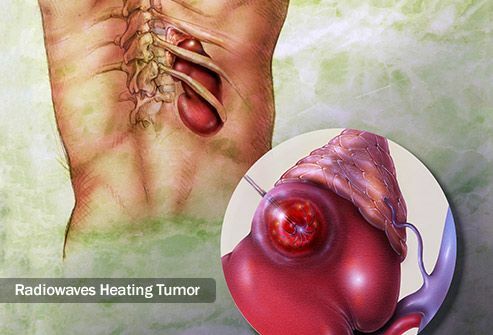 He might use radio waves to heat the tumor or cold gases to freeze it. 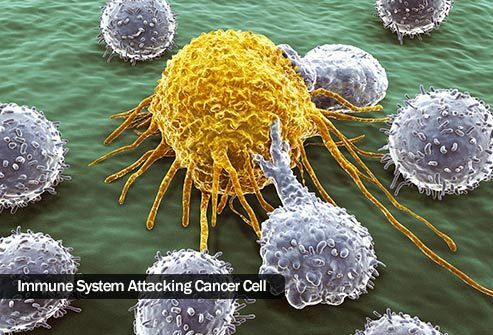 These can kill cancer cells without hurting your kidney. 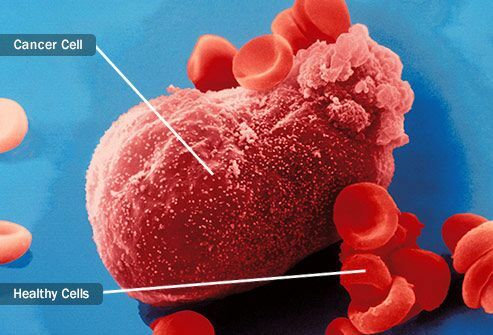 If your cancer is causing a lot of bleeding, he might block the artery that brings blood to the kidney. But that kills not only the tumor, but your kidney, too. The idea with this is to boost your immune system so it can fight or kill cancer cells. 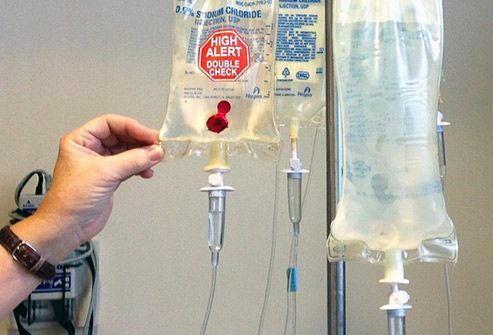 But so far, it only seems to work for a small percentage of people with kidney cancer. Your doctor may suggest it if targeted therapy doesn’t work for you, or he may recommend that the two be used together. This is a combination of powerful drugs that’s used to kill cells that are growing fast. It doesn’t seem to work well against kidney cancer, but your doctor may try it if other treatments haven’t worked. 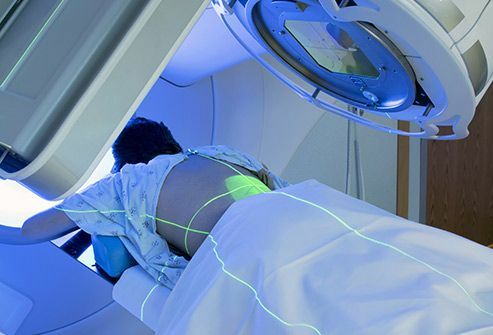 This treatment uses high-energy rays to kill cancer cells or shrink tumors. But kidney cancer isn’t very sensitive to radiation, so it’s not done often. You may get it if you can’t have surgery or to help with symptoms like pain or bleeding. You also might have it if cancer has spread to other parts of your body, like your bones or brain. 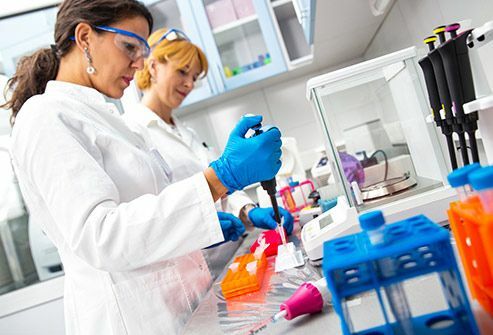 Researchers are working to find new treatments. If you volunteer to be part of a clinical trial, you may get cutting-edge treatment years before other people can. Talk to your doctor, or call the American Cancer Society’s clinical trial helpline at 800-303-5691 to find studies near you.